Best Eco Apps – While it is important to travel, it is equally important to respect the environment. According to Responsible Center for Travel, there´s an increasing number of companies that want to help travelers to minimize as much as possible their impact on the destinations they are visiting. But…Have you asked yourself what can you do as an individual to contribute to sustainable tourism? Have a look at these top eco apps that will make it much easier for you whenever you go abroad. “Eat, stay and buy locally”, says travel writer and journalist, Ondine Cohane. Whenever we go abroad we need to remember something: Trying to minimize as much as we can the impact on the local culture and community. One easy way to avoid all these practices is consuming ethical products and services. 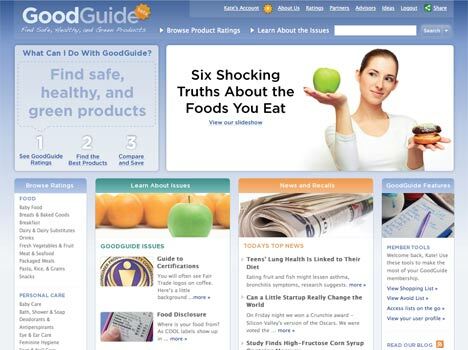 Good Guide helps you to find safe, healthy, green and socially responsible products based on scientific ratings. Eat With: Taste local food with the locals! Are you a food lover and a responsible traveler? If the answer is yes, then this app might be something of your interest. EatWith is an innovative app that helps people to get in touch with locals who are happy to show you the best of their cuisine and to invite you to have dinner in the heart of their living room. This idea born in Israel, is something between a blind date and the food experience, says Guy Michlin, one of the app’s owners. This app is currently available for over 20 countries in North America, South America, Australia, Europe, Asia, and the Middle East. 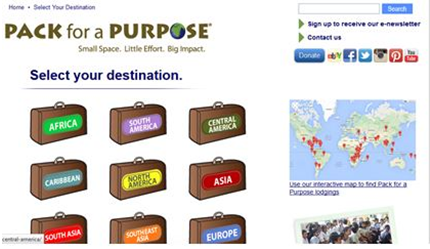 What if in addition to visiting a new country you decide to bring something for the community? Back For Purpose is an app that has been designed with one thing in mind: the importance of caring about others. Users just need to browse through the app and find participating lodges. You will be able to find out which local projects are being developed within the community and what items you can provide from your home country. Remember, the last step is just to remember it and put it in your suitcase! Who says that hospitality and sustainability can´t be a good match? Finding an eco-friendly place to stay during your trip can be a proper challenge. A good example of how the information is displayed on the screen is the A&O Berlin Mitte. Once you have selected the hotel you will be able to see the information regarding its affiliation as a sustainable and green property. In this case, the hotel was certified by VIABONO, an initiative of the German Federal Ministry for the Environment and the Federal Environmental Agency. It’s an everyday practice in most countries of South America, however, we don’t normally do it when we go abroad. Sharing a taxi from the airport to the center of the city is a brilliant way to contribute to responsible tourism. 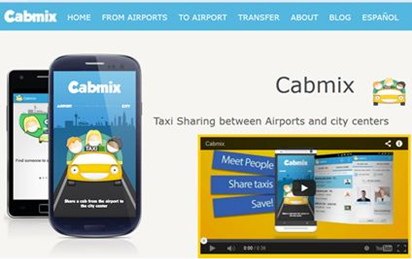 The Catalan company, Micotuco, has launched an app called Cabmix that lets you find travelers also looking for cabs to get to the center of the city from the airport. This is definitely a good way to meet people and save money. If you love to travel on a regular basis but hate the idea of leaving heavy footprints on the earth, you’ll love some of the many handy eco-friendly apps that are on the market. For those who feel guilty about the environmental impact of their journeys, it’s time to check out some of the latest and greatest applications that make it simpler sustainable travel. From apps that make it easy to find fresh, local foods or vegetarian restaurants, to those that help with public transport options, there is something to cater to every need. Read on for five handy, eco-friendly apps you can try out. When you’re traveling, one of the quickest ways that you’ll impact the environment is through racking up carbon emissions on flights, on trains, and in vehicles. If you’d prefer to travel by foot or bicycle as much as possible, or to choose more sustainable public transport options, check out HopStop. This free app not only helps tourists to navigate their way around a new location, but also to find their nearest train, bus, ferry or subway stop. HopStop recommends walking or bike paths, plus public transport options. Travelers can access up-to-date public transport schedules, as well as detailed maps and calculations of approximate trip lengths. In addition, the app estimates the calories that travelers can burn when taking a route by foot or bicycle, as well as the carbon emissions that can be saved. HopStop is currently providing information for over 300 cities around the world, with regions covered including the United States, Canada, Australia, Russia, France, Israel, and the United Kingdom. The iPhone system was named as a Top 10 Mobile App for Travel by Travel Magazine, and has been reviewed well by many other publications. No matter whether you’re planning to purchase a flight to France or a bus to Barcelona, the Happycow Veg Travel Guide can help you to find vegetarian or vegan restaurants to dine at when you arrive. This popular app is available for both iOS and Android gadgets and was designed by the people who run HappyCow.net, a review website and worldwide vegan/vegetarian restaurant guide. The app covers more than 90 countries across the globe and is a user-friendly tool that makes it much easier to find meat-free dining options when traveling. Users of the technology can filter results by location; browse a list of popular restaurant searches; and store their favorite venues for later access. If you’re pleased with a dining experience, you can then upload photos of your meal and share your views via social media sites, text messages, or emails. If you like to stick to fresh, local produce when you travel, the Locavore app, available for both Android and iOS devices, is the perfect choice. The free application helps users to find out not just which fruits and vegetables are in season in the country at the time, but also the location of nearby produce markets, open-to-the-public farms, and community-supported agriculture venue. The app uses a phone’s GPS location in order to provide a list of nearby fresh food providers. Furthermore, users can enjoy cooking up a storm with the produce they purchase by using the app’s many seasonal recipes. If you’re the type of person that loves to thoroughly research your holiday destinations, as well as carry around armfuls of travel magazines, you’ll be sure to appreciate the functionality of Zinio. This free technology means that weighing down luggage with heavy magazines is a thing of the past — instead, customers can use the digital e-store and reader to download, read, organize and store as many magazine titles as they like. Zinio features thousands of popular editions that can be downloaded as either single issues or full subscriptions, and titles can be managed and synced across multiple devices. Users can also archive magazines by author, title or date of issue, and share articles with friends and family members using the service. The technology provides a great way for frequent travelers and readers to help the environment by going paperless for sustainable traveling. Most people like to go shopping when they travel, but if you’re vegetarian or vegan it can be very difficult to feel confident about whether items are animal-free or not, especially in the supermarket. Many labels have ingredient lists that can be very difficult to read and understand, but that’s where the Animal-Free app comes in. The zero-cost system, available for both iOS and Android devices, can be used as a handy pocket reference guide to help identify both common, and often hidden, animal ingredients. The app also features a bar code-scanning function that allows users to determine on the spot if an item might suit their needs or not. Apple sold over 35 million iPhones in the first quarter of 2012, so it’s no surprise that there are iPhone apps for everything from shopping and hiking to recycling and eating local. We’ve sifted through hundreds of apps and come up with this list of the top 10 green iPhone apps that make it easy to live and travel green. With GoodGuide you can scan the bar code of products from any store and find out how green and socially responsible they are. It’s a great way to confirm that the eco-friendly products you’re buying are as green as they say they are. With iTrans you can find maps and schedules for trains and subways in several major cities. I love that this app is available on and offline, so if your data isn’t working you can still check train schedules. You can also set up push alerts on your iPhone for delays that that affect your route and commute time. iTrans is currently available for the New York City subway system, New Jersey Transit, Chicago CTA, Chicago Metra, LA Metrolink, LA Metro, Port Authority of New York and New Jersey (PATH), Metro-North, Southeastern Pennsylvania Transportation Authority (SEPTA) and DC Metro. All of our daily activities have environmental costs attached to them. We love that CarbonTrack was created specifically for businesses to track their CO2 emissions from key business activities–like travel and electricity usage. If you are traveling for work, or for fun, this app is a great way to determine which mode of transportation is most sustainable and environmentally friendly. You can also use CarbonTracker to measure the environmental impact of waste, around the home or the office. No matter where you are and what season you are in, Locavore can help you find food grown and produced locally. Using your phone’s GPS, the app directs you to the nearest farmers’ markets. It will also give you recipe ideas for how to use the seasonal veggies that you find. Want to keep your friends and family updated on your travels? With hiCard you can take a picture with your phone, and then create a postcard to send via email. With hiCard, you’ll be able to skip standing in line at the post office. Plus, it’s an eco-friendly way to share vacation highlights. The TripSketch Green Book is definitely worth the $4.99 price tag. With ideas for eco-friendly travel in more than 80 cities across the globe, you can use the Green Book as a city guide to find nearby attractions and get directions. Because all of the info is saved on your phone, you don’t need data or Wi-Fi to use the iPhone app. Recycling is an easy way to lighten your carbon footprint. With iRecycle you can find out over a million ways to recycle more than 300 types of materials. You can search using your current location, zip code, address, or city to find recycling centers in your area. iRecycle will give you information about the recycling center including directions, hours, and what other materials they collect. If you’re looking to lower your energy costs and reduce your carbon footprint, Green Outlet can help. This app helps you identify which of your household appliances are costing you the most to run. Then, you can make decisions about how to cut down your electricity usage. By selecting what appliances you use each day, and for how long, the app can also estimate your electric bill for the month. Green Outlet is a great tool for frequent travelers; once you see how much electricity your electronics are using in standby mode, you’ll want to unplug when you leave for your next trip. This app by North Face is especially handy if you like to hike and explore. Trailhead will search over 300,000 trails, hikes, and bike routes and find one for you based on your location and preferences. It also tracks your route, distance, speed, and elevation — all in real time. This app provides a fun way to help you make green travel choices, which is why it landed in our list of the top 10 green iPhone apps. With Twavel you can calculate the CO2 emissions associated with your travels. You and your friends can compare your carbon footprint—hopefully helping you make eco-friendly travel choices in the future. Last month, I found myself with an hour to kill between connecting flights in Denver International Airport. During the course of that hour, I used my smart phone no less than five times for specialized airport and flight information. What airport apps did I find so important during that 60 minute period? Read on for my pick of five best airport apps for any airport layover. The first thing I needed upon touching ground in Denver was food. I’d spent time in Denver International before, but when you see the inside of a lot of airports, they quickly blur together in your mind. Was Denver the airport with that great bento place? Did it have a Starbucks (well, duh), and most importantly, was I in the terminal where I remembered the Ben & Jerry’s? GateGuru offers detailed maps and guides to over 85 airports worldwide, and it’s easy to navigate by category (food or shopping, for instance) or by terminal. At a glance, I could see what food offerings were in the gate area I was already standing in, instead of hiking half a mile just to see what else there is. Best of all, GateGuro is free. FlightBoard is $3.99, but saves you countless trips to the reader boards for departing flight information. Instead of finding a screen, I checked my flight’s departing gate from my lunch table. Since FlightBoard updates every five minutes, I am kept up to date of gate changes, too. Is it just me, or do flights change gates more and more often these days? Also, your airline might have its own free app with gate information — be sure to check that out, too. If it’s possible to know too much, that’s what will happen with FlySmart in your app arsenal. It’s such an extensive airport guide, you’ll know virtually everything your airport desk attendants know (and you can see how stressed they look). The best part of FlySmart is it’s ability to load your full flight itinerary, making it easy to have all your information in one place if your travel day includes several layovers and gate changes. If you like to borrow trouble (and yes, that’s me), FlightCaster will indulge you by predicting whether your flight will be delayed or on time. I used it in Denver to double-check my outgoing flight after several at the gates nearby suddenly became delayed (turns out I was lucky). How it works: FlightCaster uses an algorithm using real-time data, weather reports, and ten years of historical flight information to predict the likelihood of a delay up to six hours before those little digital numbers on the reader board change for the worse. Your cost for preparedness: $1.99. An oldie but a goodie, Wi-Fi Finder is still one of the handiest apps to have while on the go, whether in airports or anywhere else. This app will alert you to any businesses or restaurants that always offer free wifi, as well as any free airport networks. And when it fails to find anything, here’s a hint: go sit next to an airport members-only lounge for their free wifi signal. But shhh…you didn’t hear it from me. Which do you consider to be the best airport apps? If you’re looking for more airport and travel app ideas, check out our list of best iPad apps for travel. We just love apps so much! They are better for the environment — think about all those travel books we used to buy — and they are much more affordable too. We bit the bullet and purchased our first iPad earlier this year. Since my husband and I both have MacBook Pros and iPhones, it felt a little bit like overkill. But we have been really happy with our purchase. We both use our new tablet for reading eBooks and have found it is a great travel tool. We’ve downloaded dozens of apps and use many for travel. AwardWallet is one of my favorite travel tools, so I love that they have an iPad app available. AwardWallet is a great way to keep track of all of your travel loyalty programs. It works with frequent flyer miles and hotel and credit card points. You can see your balance and reward numbers, even when you don’t have internet connection. There’s also a paid version of the app. The major difference is that the paid version will display extra reward account properties and historical account balances, and you can export award balances into Excel. To upgrade, you choose how much to pay; just donate how much the upgrades are worth to you. Each donation allows you to access the upgraded features for 6 months. Having all of your traveling plans in one place is a huge help while globetrotting. I can’t count the times I have spent way too long searching my email for airline and hotel confirmations. TripIt is an easy way to organize and share travel plans. Once you receive your confirmation email from booking travel, forward it to plans@tripit.com. The app recognizes the reservations and then creates a helpful itinerary for your trip based on all of your confirmations. You can see it on your iPad or iPhone, sync it with your calendar, and view your itinerary on the TripIt website. A pro version is also available and costs $49/year, but has a 30 day free trial period. It monitors your flights for potential savings and sends helpful reminders while you’re traveling. There are quite a few apps available to help with packing lists. uPackingList is a free iPad app that allows you to create a list of necessary items and customize the suggested lists to fit your needs. You can check off the items as you pack them, ensuring that you don’t forget anything. For short trips, I don’t usually create packing lists. But that’s gotten me into trouble more than once so maybe I should start! I always create packing lists for longer trips, especially overseas. Developing a list a couple weeks before I leave helps me pack light; the more I look over the list, the more I realize that I can leave a few things behind. I find that packing lists are often helpful as I get ready to come home, as well, ensuring I don’t leave anything behind. I appreciate that you can save lists with this iPad app, so if you take similar trips you have a personalized packing list already prepared for your next trip. I love planning globetrotting adventures. I’m always trying to think of new places to visit, so the SkyScanner app is one of my favorites on the list of the best iPad apps for travel. I love that you can put in the “from” airport and SkyScanner will tell you how much it will cost to fly to dozen of cities around the world. By selecting “explore” you can rotate the globe, seeing cheap flights for cities around the world. This iPad app is sure to provide plenty of travel inspiration! With OpenTable for iPad you can make free reservations at over 20,000 restaurants across the United States, Canada, and even the UK. Just select your dining date, time, and party size to see which nearby restaurants have available tables. You can see the results listed by proximity, or, if you prefer, on an interactive map. OpenTable is nice because you can view reviews before you book a table for dinner. Many restaurants even list their menus, making restaurant selection less risky for picky eaters. Regardless of where your journey takes you, this list of the best iPad apps for travel will help you have an amazing trip. Bags packed- Check, travel guide and documents- Check, Smart phone-Double Check!! Cruisers Apps – Triple Check!!! Long journeys can be thrilling, The Best Blue Cruise Routes, but if there is no other distraction, such trips can be extremely boring. Here are ten exciting Apps essential for travelling, sailing holidays and cruisers apps. You can also check out our list of 10 Awesome Green iPhone Apps. This App uses data compression technique to shrink your data roaming charges by quite an extent. It will even help the user to manage other Apps which are hogging data unnecessarily and keep the ones that are manageable. This is one perfect app for long journeys. It doesn’t need any internet connection and has a data base of jokes belonging to numerous categories. For people who enjoy good humor, this app is a sure entertainer! WhatsApp Messenger uses a cross-platform messaging system to exchange messages across the world. This app is extremely useful when the traveler wishes to send pictures or videos to family and friends back home. Travelers who are fond of reading books while sailing can download Kindle. This app allows the user to download books when internet connection is available. In short, it is a portable library which is accessible from anywhere you are. For people who are travelling alone, this app is a winner. It has 1,000 trivia questions from several categories like culture, pop, sports, and many others. The game becomes more interesting as stages pass. Witty comments by Stein make the game an exciting experience for the user. This app is extremely important for travelers who spend most of the time taking pictures. It allows easy uploading of pictures on social media networks from where they can be shared with friends. Also, the app allows the user to add some exciting effects to enhance the pictures. Watching your favorite show at a foreign land or a cruise can be a dream. However, it is not necessary that the television programs or the movies are in the same language as yours. Travelers can download the Flixster app to browse movies or your favorite shows. It also has an option to watch the movie in offline mode. Lovers of Art can download Adobe Ideas App to paint on their smart phones. It allows others features like Photoshop, color precision after effects options to enhance the pictures. Forgot to carry your canvas and paints? Don’t worry, this app bags all the tools required for a perfect masterpiece. Travelling can cause jetlag and a sure-fire way to combat it is to download JetLag Genie. The app allows you to make a gradual transition to the new time zone(s). You just have to add some basic information and the app would become a customized alarm clock. What could be better than a nice travelling experience and your favorite songs in the background? Users can stream and listen to their favorite songs even in the offline mode. In addition, travelers can sync playlists on this app, making it a portable music player. We just love apps! They save us time, conserve paper, and are easy to “carry” with us. most of us started traveling, it was necessary to haul around an entire dictionary in the language (or languages) along our routes. I remember browsing through bookstores, searching not for the best language dictionaries to take on the road, but the thinnest and lightest. It’s not a big surprise that they rarely were exactly what I wanted. But these days, all that has changed. Here’s our review of the best translation apps. It’s never been easier to look up exactly what you want to say. Thank goodness for smart phones and all the apps they can store! Today, there are literally dozens of top-rated translation apps to use as international travel tools, but which to download? The answer will come down to personal choice and need, but any app worth your time will have at least two of the following three features. You may thing you don’t need it, but text-only translation means you will have to read it back to your audience. Do you really know how to pronounce each word? Many free language translators only work over a WiFi network. 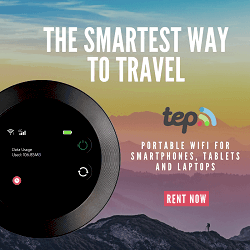 But will you be connected at every point along your trip? The best language apps allow you to save your conversations or at least store key phrases to call upon later. Below, we’ve rounded up the best translation apps for iPhone and Android for your next vacation. What are the best translation apps? One of the most dependable translation apps on the market, Google Translate is simple to use, straightforward, and best of all, free. You can translate words from up to 64 languages, and you can type or speak your words or phrases. Google Translate will then speak them back to you in the new language, eliminating the need for you to fumble verbally with unfamiliar words. You do need WiFi or roaming to use the app, but if you plan ahead, Google does allow you to store anticipated phrases ahead of time. World Lens is unique among best translation apps in that it allows you to take photos with your smart phone of signs or any other written language, which it then translates. Especially helpful in airports, on busy streets, or in restaurants while ‘reading’ the menu, World Lens is quick, seamless, and WiFi is not required. The only downside: you cannot save and store your images to remind yourself what a particular sign meant later. It will cost you a small amount for each language, but if you’ll only need a few on a given trip, it’s worth the expense for the convenience and thoroughness of their databases. Jibbigo is a speech interpreter, not simply a type translator, but it’s very easy and swift to use. You simply speak your phrase into the phone, and it audibly translates in a very natural voice. Your local language speaker then speaks back into the phone, which translates back again. Think of Jibbigo as having your own personal interpreter along for the ride. It does not require WiFi, and includes a basic dictionary function as well as typed copy of what it’s relaying aloud. Each language is purchased individually for up to $13.99. But if it saves you time and stress, it could be a very sound investment. iTranslate offers a very straightforward and easy to navigate layout and can translate into over 50 languages (many of them including a voice feature). Unlike many travel translation apps, iTranslate allows you to enter entire conversations of text at one time, if needed, and while it does need WiFi to work, you can store phrases and words to call up later. Best of all, it’s nearly free. Many languages come included with the free app, but a few do need to be bought. For $4.99, Vocre brings you 31 languages (in text and voice). A nice feature includes the option to flip the phone 180 degrees for easier recording between two parties. There are no extra fees for language packages, but you do need to watch for ads that pop up when it’s least convenient. You’ll want Vocre or the aforementioned Jibbigo if you plan to be quite conversational during your travels. Whichever translation app you download, consider adding at least one back-up (at least a free one) to your phone before you travel. Apps can get buggy, and you never want to be without any type of translation tool at your fingertips! In addition to translation apps, we have used different types of travel apps for many different experiences, including 4 handy hiking apps and cruisers apps. We’ve have used airport apps when on a layover and eco apps and eco-friendly apps to learn to be more green. We also love our Fitbit app to track our steps walked. We’ve come a long way from the days of hauling around dictionaries in multiples languages while traveling. These best translation apps for your smart devices are so easy to use, and technology makes it easy to read road signs and menus and converse in foreign languages during your travels. Whether your phone of choice is an iPhone or Android, there is a great translation app out there for you. And apps are eco-friendly choices too. Earlier this month Twitter announced that it is now available in 28 languages, and millions of people around the world are active on the social networking site. If you have been hesitant to jump on the 140-character bandwagon, here is just one more reason you should: It can be a great travel tool. Whether you are looking for travel inspiration or ideas for what to do when you reach your destination, Twitter provides a wealth of helpful travel information. Twitter can be a great place to get inspiration for an upcoming trip. Use the search function in Twitter to search for individuals and companies that Tweet general travel related information. Travel + Leisure, Budget Travel, and, of course, Go Green Travel Green are all wonderful sources of inspiration. Once you decide where your next adventure will take you, you can look for location-specific information. We are hoping to visit a friend in Israel soon. A quick Google search for “Israel tourism twitter” resulted in a couple of accounts that Tweet information about areas in Israel to visit, general tourism information, and tips for travel in the region. You can also use Pinterest to organize all of your travel inspiration and information. While traveling, I want to get the most authentic experience possible. Guidebooks and travel magazines are helpful, but I worry that they are sending me to tourist traps rather than the local hotspots. So I love to use Twitter for travel and uncovering local treasures. It’s a great way to find the restaurants that locals are raving about. A few weeks ago, my husband and I were in Edinburgh, Scotland. It was a last-minute trip and we had not done any research about what to see or where to eat. So we turned to Twitter. By searching #edinburgh, we found great restaurants that were off the beaten path. Twitter can be a great place to find relevant travel deals for the area you are visiting. Various “deal of the day” sites like Groupon are popping up all over the world, and most are active on Twitter. By following them, you can find great deals on eating out, activities, and even hotels in the region. By following your favorite airlines or travel search engines on Twitter, you will be the first to know about any specials or travel deals they are offering. If you need special gear for your travels, following stores on Twitter can be a great way to find out about sales. Twitter can be a great way to stay up-to-date with breaking news while traveling. The US Department of State is surprisingly active on Twitter. Not only do they post travel warnings and alerts, they also respond to passport- and travel-related questions. By following your favorite news sites on Twitter, you can stay up-to-date on the latest world news that could potentially affect your trip. Here’s a list of news organizations on Twitter — you can follow everyone from the BBC and CNN to local and regional newspapers and TV stations. Last year, as we were getting ready to drive through Malawi, we heard from a friend that there was a fuel shortage in the country, but we couldn’t find any recent news articles on the situation. Once again, we turned to Twitter and Facebook and there were a lot of locals posting about the fuel shortage. We learned that there had not been diesel fuel delivered to any gas station in the country for three weeks. Because of this, we carried enough fuel in jerry cans to get us all the way through the country. Other travelers were not so lucky; we met people that paid nearly $20 a gallon for black market fuel to be able to get out of Malawi. Have you ever had a terrible customer service experience while traveling? Consider using Twitter for travel complaints. Whether you are trying to get your name changed on your ticket, or were treated poorly by a customer service representative, the social networking site is a great place to get instant help. Many companies respond quickly when customers turn to Twitter to ask for help or voice their frustration. Looking for an interactive way to discuss travel with other travelers? Try Twitter chats — conversations based in Twitter. Anyone can join the chat just by following and mentioning whatever hashtag has been assigned to the chat. Think of it as a cross between Twitter and a chatroom. Expedia hosts a Twitter chat each Wednesday at 10:30 am PST. To join, just search and follow the #ExpChat hashtag during these times. Just last week they gave away a $500 Expedia voucher to one lucky participant. Travel Talk on Twitter (#ttot) is another popular weekly Twitter chat that happens on Tuesdays. If you are heading to Mexico, every Monday is #MexMonday, where people discuss Mexican tourism on Twitter. If you are new to Twitter, check out this guide put out by Twitter. It will help you get started with an account so you can put these tips into practice! It seems that everyone, from my journalist friends to my elderly neighbor, is raving about Pinterest these days. Visually appealing and surprisingly intuitive to use, its vast array of user-generated “pinboards” make it a natural travel and trip planner. Best of all, Pinterest meets multiple travel planning needs, taking your next adventure from conception to logistics (and even post-trip bragging rights). You can explore the entire Pinterest community, of course, but as you realize the site’s potential, you’ll probably decide to narrow down the “pins” you see by interest. If you have favorite travel bloggers you read, check to see if they’re on Pinterest (like Go Green Travel Green!). “Following” will limit the pins you see on your homepage to those “pinned” and “repinned” by the users or boards you’ve subscribed to. Find new boards that interest you by searching by board rather than category, and bear in mind that some are more active than others. Several of my favorites include The Longest Way Home, Adventure Travel, and Family Travel Inspiration (created by yours truly). While searching for great content to follow, don’t forget about travel industry brands and magazines. While their pins may be more self-promoting than average, Pinterest’s creative and communal vibe tends to rub off on even the most corporate of travel brands. A few I enjoy following: HomeAway (vacation rentals), the Travel Channel, and Budget Travel. While the sky’s still the limit, get inspired by browsing Pinterest’s millions of travel images, all pinned by fellow travelers. All pins link back to the original web article or post that inspired them, ensuring you have detailed information on each destination at your fingertips. If you like what you see, create your own boards to visually file all your favorites. Categorize them by destination, wish list of locales you’d like to visit, or specific trip. Once you’ve narrowed your search to a destination or formed an itinerary, Pinterest is an easy place to store all the websites and articles you accumulate in your research stage. Since each pin on your board is represented by a photo, you’re instantly reminded of what each link features (say goodbye to bookmarking URLs just to forget what each one contains!). Create a board for each trip in which you can store all your planned activities, restaurant picks, lodging choices, and maps, such as this one I’ve created for an upcoming vacation to San Francisco and the California coast. As you find more articles, pin them in one click. Bear in mind: you’re not limited to pinning Pinterest images; pin any article or website on the web by clicking an available Pin It button or downloading the Pinterest tool bar for your browser. For instance, if you’ll be flying to your destination, and want to remember how to bid successfully on Priceline, pin it to a Travel Tips or Money-saving Tips board you create! And since boards can be opened up to additional users, you can always seek collaboration: invite acquaintances from Paris to pin their favorite cafes to your Going to Paris board, or friends from Australia to pin less touristy beaches to your Gold Coast board for direct, local information. Post-travel, create boards showcasing your photos, offering tips, or promoting your reviews in order to foster awareness of travel, inspire others, and educate. Just be aware of intellectual property pit falls: as you pin or repin, be sure to credit the original poster. If the pin originated from you, consider adding a specific description and category for your pin to make it easier for others as it travels the web. After all, sharing and collaboration is at the heart of what Pinterest is all about! Check out Go Green Travel Green on Pinterest. Do you use Pinterest as a travel planning tool? What travel-related boards have you created? We hopped on the bus to Tallinn, Estonia with nothing but our passports, wallets, and nearly-empty backpacks. We need a Paper-Free Guidebooks to plan our Green Travel. We had planned to buy tickets for the next day, but they were sold out. It was either go now or don’t go. Europe on a Shoestring didn’t do us much good sitting in our dorm room in St. Petersburg, but the next day we stopped by the tourist information office and skimmed a guidebook in a bookstore for the best attractions. Our (guidebook-less) trip on whim was excellent. Sometimes you end up in a place you hadn’t planned on visiting. Other times your guidebook doesn’t cover all of the countries or cities you want to see. And fewer guidebooks means less paper used, lighter packs, and a smaller carbon footprint. Fortunately, there’s an abundance of guidebook alternatives for eco-conscious vagabonds – and other travelers, too. A really cool trip planning website, NileGuide, launched yesterday. NileGuide lets you build your own PDF travel guide and itinerary for free. If you don’t want to plan a whole itinerary, you can still click around and read the vast information the site offers on food, what to do, lodging, and nightlife. I read online reviews for everything – from vacations to shoes – so I’m a huge fan of TripAdvisor. In addition to helpful overviews and hotel ratings (including price), TripAdvisor has really great forums where travelers ask questions about upcoming trip and share experiences from past vacations. TravBuddy is a social networking site for travelers. On top of the community aspect, there’s also a ton of destination-specific information, including blogs, travel tips, connecting with other travelers, maps, things to do, and restaurants. Lonely Planet now gives you the option of paying to download individual chapters from their guidebooks – which saves money and trees. Available chapters: Caribbean, South Pacific and New Zealand, Canada, Africa, Central America, Mexico, South America, and USA. Not yet available: Europe and Asia. Rough Guides has launched the iPod version of their popular guidebooks with free eating and drinking guides to 10 European and U.S. cities. They also offer eBook versions of their travel guides, but you have to buy the entire book (rather than just the sections you might need) and they don’t include photos or maps – arguably some of the most helpful features of guidebooks. Schmap combines travel guides and maps and lets users add reviews and content. Schmap brings you digital travel guides for 200 destinations throughout the United States, Europe, Canada, Australia and New Zealand. The innovative technology behind Schmap Guides also lets end users publish their own ‘schmaps’ (to share trip itineraries, local reviews and more), and powers a popular range of Schmap Widgets, displaying maps with content and event schedules for travel, sports, concert tours and more on a fast-growing network of websites and blogs. There’s something about Rick Steves that I just love. Maybe it’s the Midwestern friendliness (is he even from the Midwest?) and his passion for Europe, but I can never change the channel when he’s on PBS. And his website has lots of free information about European travel, including his review of the best destinations across Europe and travel tips. 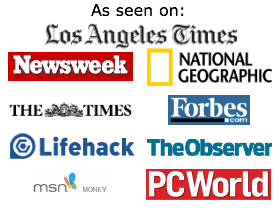 Search newspapers’ online travel sections and blogs for your destination. They have an abundance of well-written information you can access for free. 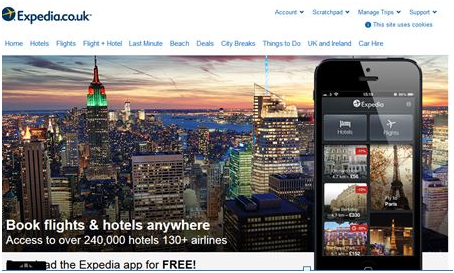 Search About.com’s travel info by destination or activity. It’s not the most comprehensive place to gather travel information, but it’s a good starting place if you’re doing preliminary research. In my post 13 Tips for Meeting Other Green Travelers, I outlined ways you can meet like-minded travelers. Asking fellow travelers where they have been and what advice they have about those locations is great way to strike up a conversation. Posting questions on travel forums is another good way to get information about your destination from people who have been there. Just about every city has some form of tourist information center with maps and info on local attractions. Swing by one on your way into the city and pick up the info you need. Or better yet, ask a hostel worker for his or her recommendations on what you should see and do while you’re there. 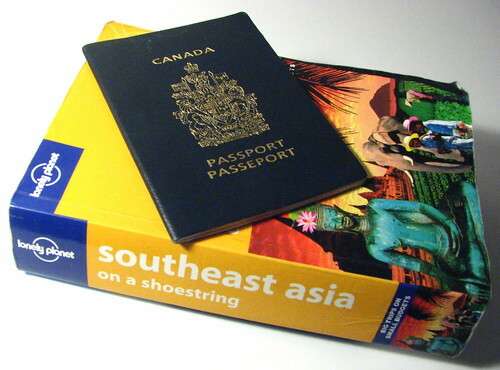 If you really can’t live without guidebooks, bring just one that covers a whole country or region. This one book got Elizabeth and me through at least 12 countries during our 2-month post-study abroad trip. Photo credit: Lululemon Athletica – Delwin Steven Campbell – Yorick_R.